Since becoming an software and webdeveloping company DSS have strong backbone.Our developing tools have an ease for clients on its smooth desires. It helps us to become satisfie and work in the better path. After becoming an individuals we work as an organization, we have work in Chevron Way your utmost to understand the desires. DSS experts always worked tirelessly to meet to achieve their goals and our high expectations with a spirit of co-operation and understanding the thinking of client prospectus that has further enriched our relationship. Financial Analysis of DSS assessment refer to the business deal with the budgeting, planning, forecasting,improving, and monitoring of all financial details with all the important dealings based on the organisation. * It also help for finding out identify as certain ratios as well as financial ratios and trends across in liabilities and assets. *Also deals with the adjustment planned and analyze also to forecasted amounts. * Allows us to provide regulatory statements act as needed for DSS improvement. Since becoming an independent company in 2009,DSS has focussed to the Freescale on becoming an agile, high-performance company. 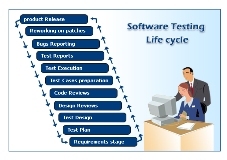 Dreamtech Software Solution has been a great and many valuable asset throughout this journey. Job Openings, We have an urgent openings on BDM(Bussiness Developement Manager),Php(Cms) and .net all candidates must have minimum of Experience of 1.5 yrs.